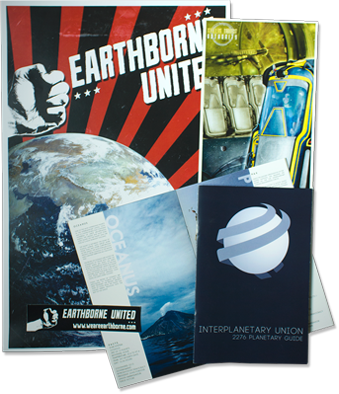 In 2012, we launched We Are Earthborne. a sweeping science-fiction story that created a community of amazing fans that brought more than 250,000 views to our wide range of web-based content. While the experience was largely built around twelve weekly transmissions from a strange planet, there was plenty of real-world experiences, including a live meetup at New York City Comic-Con and hidden stashes of Interplanetary Union currency being smuggled to a hacker. Weekly transmissions from a strange planet.